It's April in Paris in Glasgow this August! Al and Bet’s relationship is on the rocks. He recently lost his job, while she works in a shoe shop and can only dream of a better life. But things are about to change... When Bet wins a romantic night in Paris, the city of love, Al wonders who she’ll take with her. Resigned to taking her husband, Paris actually reignites their relationship as never before, but the reality of returning home looms large... 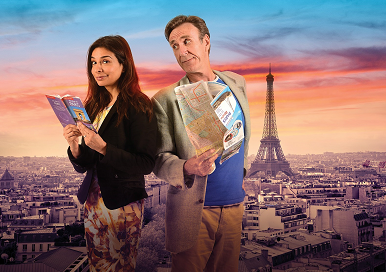 This hilarious romantic adventure, featuring John Godber’s unique brand of observational comedy, was nominated Comedy of the Year in the Olivier Awards.